Have you been searching for the right cosmetic dentist in Grand Rapids, Michigan? Each person is extraordinary in his or her own way. Each moment of time, each appointment, is valued as unique. Each client is special, and brings her/his singular image aspiration, cultural bias, hopes and dreams of a better smile. It is our collective generosity of spirit in the office that enables us to maintain an “expectation of excellence” each and every hour of each and every day. Every one of our patients/clients has a made a choice to entrust us with their complete cosmetic makeover or mild enhancement, and we honor that choice. A thorough examination and cleaning from your dentist is recommended before using any whitening (bleaching) products. That is also the first step in finding out if your teeth and gums are healthy enough for the whitening products. The best decision for your optimal dental health is to extract diseased or decaying teeth, and replace them with dentures. Your Dental Associates Of West Michigan have the experience and technology to fill those gaps and restore that fabulous smile, whether you need partial or full dentures. Restore chipped or broken teeth, fill in gaps, or re-color your teeth, another great choice is cosmetic bonding. Cosmetic bondinguses a composite resin that is used for various structural as well as cosmetic purposes. 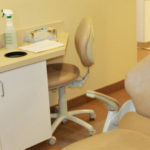 No longer do you have to smile with your mouth closed due to discolored teeth – the techniques are readily available and experienced dentists at Dental Associates of West Michigan know just how to give you that million dollar smile. The easiest way to think of a dental implant is to consider it a prosthetic tooth – an artificial tooth which replaces one lost. This technology has been around for several decades, and chosen by many.